We work closely with all major cruise lines and niche operators providing exploration and river cruises worldwide. We work with a wide range of luxury cruise lines, each of which offers spectacular voyages in style and comfort to outstanding destinations. From the 6-Star luxury of the ultra-luxury ships to the intimate elegance of some of the smaller lines, we can find the perfect ship and sailing for every budget and every wish. Amawaterways are one of Europe's leading river cruise operators. Founded in 2002, the cruise line boasts an expansive fleet of river-cruise ships that sail on some of the continent's most famous rivers. Choosing a cruise along American waterways has never been easier. American Cruise Lines delivers culture, history, and enlightenment on a fleet of authentic paddle steamers and modern river ships sailing to a wide selection of river cruises along waterways all over the USA. Antarctica 21 offer air-cruises to Antarctica avoiding sailing via the Drake Passage. Antarctica is a continent surrounded by oceans. APT offers an array of river cruises using vessels from the award winning river cruise line AmaWaterways. Each vessel has been custom-designed to offer the foremost modern river cruising experience with elegant interiors that boast a wealth of culinary and recreational options. From the start, Aurora Expeditions was destined to be different. Their aim was simple - to take small groups of travellers on voyages of discovery to regions that inspired them, thereby creating lifelong ambassadors for the preservation and protection of these sacred places. Operating one of the youngest fleets in river and small ship cruising, Avalon Waterways have more than eighty years of experience in organising travel itineraries and holidays around the world. Launched in 2007, Azamara Club Cruises are renowned for being a premium-luxury cruise line that feature longer and overnight stays in ports that larger ships are unable to reach. Celebrity Cruises takes passengers to some of the most outstanding and diverse destinations in the world. Travelling between Europe and the Caribbean, from the Arctic to the Antarctic, they offer more than 100 different itineraries. Since 1976 CroisiEurope has pioneered river cruising on the most beautiful waterways in Europe. The ultra-luxurious ships of Crystal Cruises - Crystal Serenity and Crystal Symphony - offer a stimulating and indulgent environment combined with a choice of restaurants, plenty of sports, fitness facilities and itineraries. Cunard was the first company to make regular scheduled transatlantic crossings and can, therefore, claim to provide the first cruise service. Certainly its the name that evokes a sense of that golden age of ocean travel. Let us take you on a journey to the sun-kissed shores and sparkling waters of the Dalmatian coast, docking centrally in historic UNESCO World Heritage-listed cities that are famed for their ancient walls and alongside uninhabited islands that flourish with untouched natural beauty. European Waterways provides cruises along European inland waterways in nine countries aboard luxury hotel barges. The all-inclusive voyages along canals, rivers, lakes and lochs are the perfect way to unwind. Cruise on the Brahmaputra, one of the greatest rivers of Asia, on board the prestigious river cruise vessel, M.V. Mahabaahu. 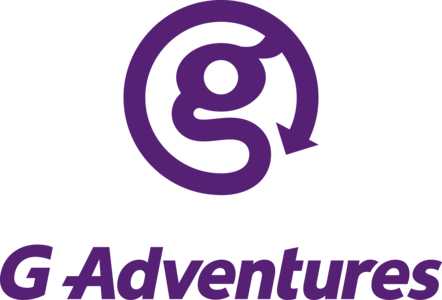 G Adventures has defined (and redefined) small group travel for 25 years. Travelling with them is the very best way to get up close and personal with your planet. With extensive first-hand knowledge of Hapag-Lloyd Cruises, our specialists are well-placed to recommend a cruise to suit your budget and interests. Hebridean Island Cruises have one ship - Hebridean Princess - and operate cruises around the coast of Scotland. Heritage Line is a consummate collector of classic river vessels sailing on the Mekong, Halong Bay, and the Ayeyarwady and Chindwin Rivers in Myanmar. They design their ships to emulate the glories of a by-gone era in the areas they sail. Holland America Line is widely recognized as a leader in the premium segment of the cruise industry. The company’s fleet of 13 ships annually offers more than 500 cruises to 415 ports of call in 98 countries, territories or dependencies. Hurtigruten was established in 1893 and has been a part of Norwegian way of life for more than 120 years. Iceland ProCruises is the leading tour operator in Europe specialising in Iceland only, offering cruises to Iceland. Lindblad have more than 50 years experience of cruising the world’s wild places and inspiring travellers with their exciting and immersive brand of of adventure travel. Oberoi Hotels and Resorts, internationally recognised for all-round excellence and fantastic service, offers luxury cruise journeys on the Nile and the Kerala backwaters. Oceania Cruises a sister company to Regent Seven Seas Cruises, was formed in 2002 as the world's largest upper premium cruise line. 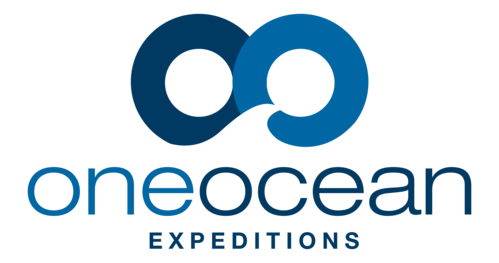 Since 2008, thousands of adventurous travellers have experienced the wonders of the oceans on a One Ocean Expeditions small ship voyage. With almost 20 years’ experience in cruising, Pandaw is the largest river cruise company in Southeast Asia, with 14 deluxe ships all designed as replicas of colonial river steamers. Pandaw offers its passengers an adventurous experience with daily shore excursions, comfort and fine dining. Following in the wake of impressionist Paul Gauguin, who travelled through the paradise of French Polynesia, the MS Paul Gauguin cruises the exotic South Pacific islands. Ponant are an integral part of France's great shipping tradition. All their luxury cruise ships have their own unique personality and symbolise the true essence of cruising. Poseidon Expeditions is one of the leading providers of polar expeditions in the cruise industry. Founded in 1999, the company is a recognized leader in icebreaker cruises to the Polar regions and the Russian High Arctic. Sanctuary Cruises are part of Sanctuary Retreats, a luxury safari outfit whose expedition ships bring the boutique experience to guests with the promise of added authenticity. Embark on a European river cruise with Scenic and set sail in all-inclusive luxury on-board state-of-the-art Scenic ‘Space-Ships’. Sea Cloud is one of the most elegant ships on the seas. Built in 1931 as the largest sailing yacht of the time, the four-masted ship today sails the Mediterranean, Caribbean and Atlantic with unrestrained glamour. Step onboard a cruise ship from Seabourn Cruises and you'll be seduced by its intimate atmosphere and ultimate luxury. The highly trained staff - numbering more than one per suite - will remember your name and your preferences. 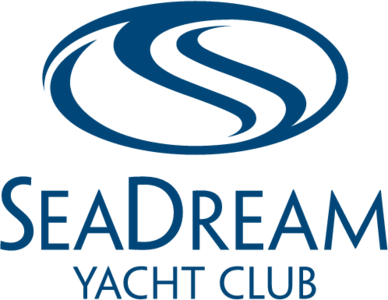 SeaDream Yacht Club is a family-owned business that aims to provide a casual yachting experience. With only 56 couples onboard at any one time - and a crew of 95 - the company is at pains to point out that this is not cruising as most people know it. Silversea was established by the Lefebvre family of Rome who wanted to create a cruise line whose ships would be as elegant and spacious as the world's finest hotels. Sailing to remote ports of call on luxurious voyages, all guests stay in lavish suites and are treated to the best fine dining. The Sonesta Collection comprises upscale hotels, resorts and cruise ships, each emphasising the local culture in their surroundings. The Ritz-Carlton is taking its legendary service and unmatched luxury to sea. Beginning in 2019, the company will offer bespoke cruises on three lavishly built yachts. 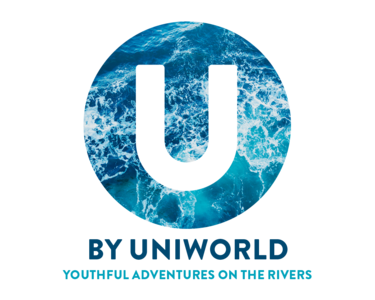 Uniworld's European fleet of 11 riverboats sail the Danube, the Duoro, the Main, the Moselle, the Rhine, the Rhône, the Saône and the Seine, with optional flight excursions to Istanbul to reach Europe's eastern edge. From immersive, educational shore excursions, to free-flowing wine, beer and spirits aboard, Victory Cruise Lines redefines luxury cruising on The Great Lakes, to Cuba, New England, Yucatan and Canada. Viking Ocean Cruises sail the oceans of Europe, America, Asia and the Caribbean, visiting bustling cities, tranquil villages, historic sites and natural wonders. Viking River Cruises sail the great rivers and waterways of Europe, Russia and China, visiting bustling cities, tranquil villages, historic sites and natural wonders. Voyages to Antiquity aims to open a window into the origins and genius of Western civilisation as well as history and the chance to visit some breathtaking archaeological treasures, you'll also be able to enjoy some of the most beautiful scenery in the world. Windstar Cruises sail the Mediterranean and Caribbean with ships with towering sails and teak-lined decks, providing the ultimate atmosphere for romantic cruising.